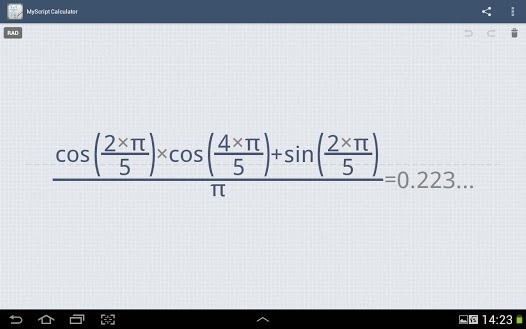 We originally covered the kind-of-ridiculously-awesome MyScript Calculator last year back in July, but it's received a significant update today that should have you checking out this amazing app if you haven't already. 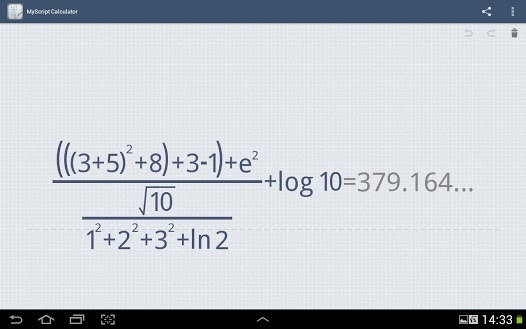 The premise is simple: write out your math equations just like you would on paper, and presto-amazo, MyScript converts them to text and solves them. Now, though, it does even more. Like portrait mode, which is sort of a weird thing to just now get around to adding (eh, eh? ), but at least it's there. Undo and redo actions are now included, as well. But one of the big additions is, you guessed it: more math. 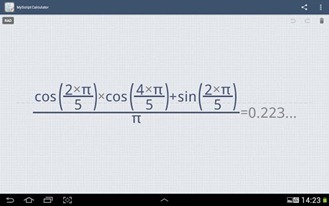 MyScript now supports trig, inverse trig, logarithms, and constants. 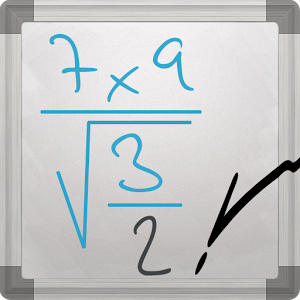 Percentage, factorial, and absolute value symbols are now recognized, too. Hit up the Play Store to get the new version now.